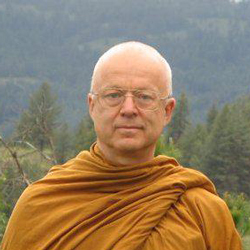 Ajahn Thanissaro has been a Theravadin monk since 1976. The abbot of Metta Forest Monastery in San Diego County, CA, he is a prolific translator of Pali texts and Thai meditation guides. He is the author, among other books, of Wings to Awakening, Mind Like Fire Unbound, and Meditations 1-8.